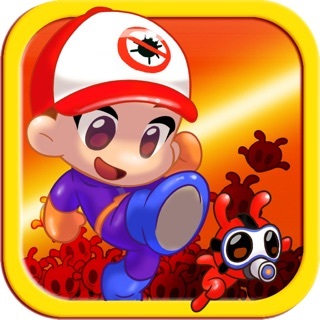 Shoot and match your way through hordes of pesky bubble trapped bugs in AlyssaW Bug Bubble Trouble; a fun and delightful bubble shooter game from the makers of AlexG Infinity and AlexG Pest Control! AlyssaW needs your help in eliminating many of the bubble trapped bugs left around the house by the nefarious King Goo. 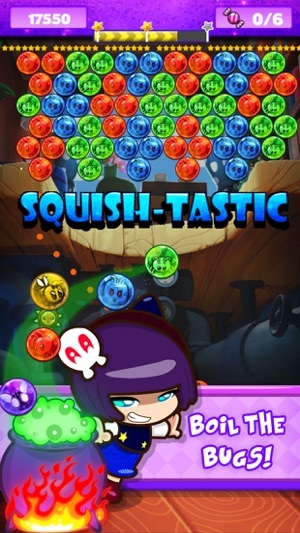 Journey throughout the house in miniature size and boil as many bugs as you can in this fantastic bubble shooting puzzle game! 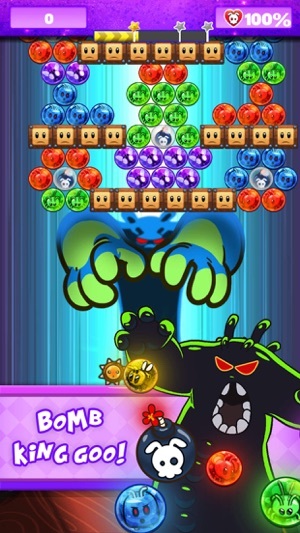 Connect and match 3 or more of the same bugs together and boil them in your bubble pot. 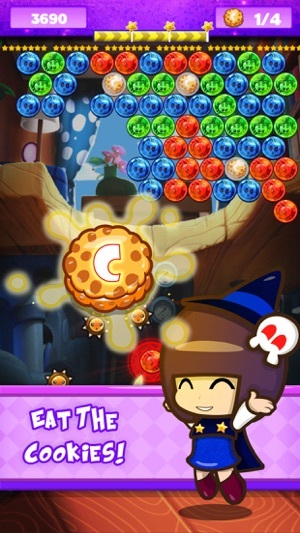 The more bug bubbles you burst, the more spectacular the resulting chain-reaction and score will be! •	Shoot to match 3 bubbles to boil them in this fantastic bubble shooting adventure. 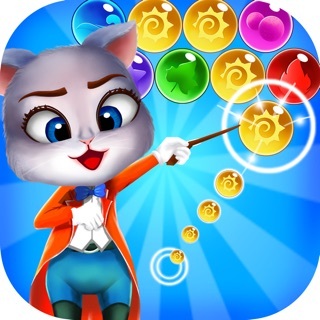 •	Casual bubble shooting and puzzle match 3 gameplay that is easy to learn but challenging and fun. 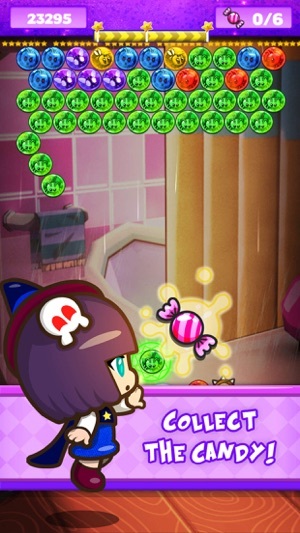 •	Earn coins and use magical power ups such as color morphing bubbles and fire ball bubbles to help you boil those bugs within the challenging levels. •	Save the dust bunnies, collect the candy, eat the cookies and bomb King Goo! 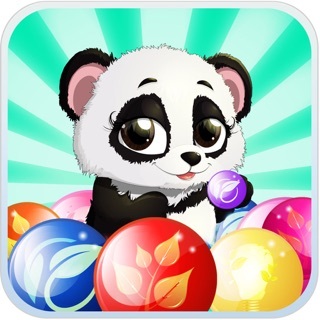 •	Unique and colorful comic inspired gameplay graphics. 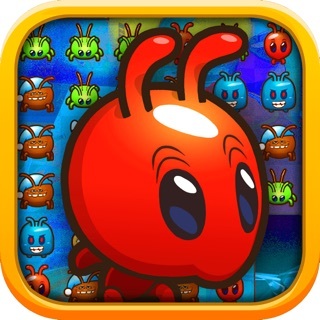 •	Match, shoot and boil comically created Ants, Pillbugs, Bees, Aphids, Black flies and much more. Shoot your way through the various stages in the house. Link bug bubbles together to boil them and defeat King Goo! 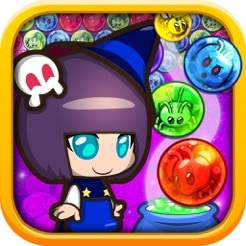 Download AlyssaW Bug Bubble Trouble for free and experience bubble shooting and bug boiling fun! 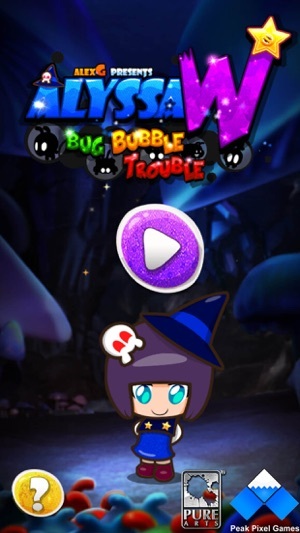 AlyssaW Bug Bubble Trouble is completely free to play but some optional in-game items will require payment. Thank you to everyone who has supported us and the AlexG Universe so far!